These super easy cowboy beans are cooked in the crockpot with ground beef, a variety of canned beans, and seasonings. 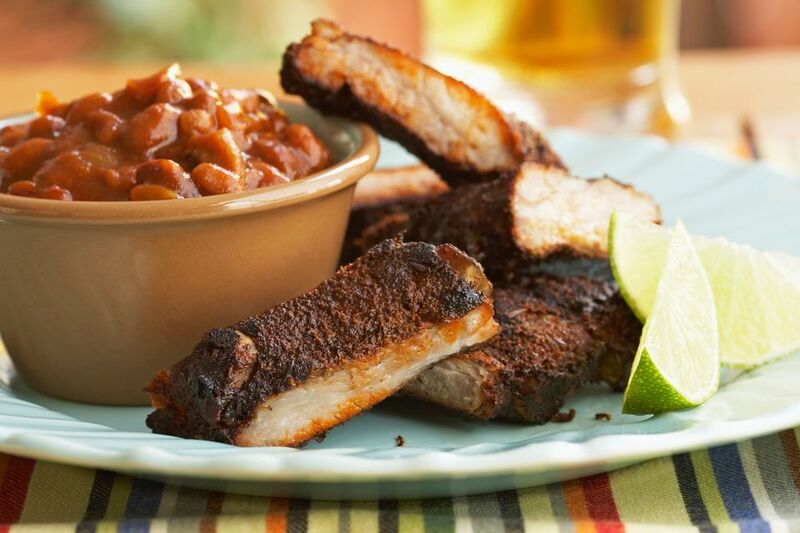 Barbecue sauce and molasses give them amazing cookout flavor. Cut the bacon into small pieces; brown in a large skillet. Remove bacon from the rendered fat and set aside. In the bacon drippings, sauté the onion and bell pepper until tender. Add the ground beef and brown lightly. Put the meats into the bottom of a crockpot. Add the can of pork and beans. Drain most of the liquids from the remaining cans of beans and add them to the slow cooker with the remaining ingredients. Mix well to blend. Cook on high setting for 1 hour, and then set to low and continue cooking for 5 to 6 hours. Stir occasionally. Check for seasonings and correct if desired, with a little salt and pepper, or more brown sugar or syrup.